Throughout your academic career from middle school to high school and all the way through college, the one thing that stays constant as the difficulty level increases is that you will always be tasked with writings essays for your individual classes. 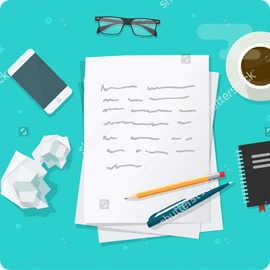 While some students find essay writing naturally very easy, others struggle with the structure and format that it takes to produce a really high quality piece of writing, and if you are one such student then pay close attention to this essay, which is in itself, the perfect template to apply to whatever essay subject you might need to write about. Just as this introduction has done, you need your opening paragraph to set out the subject matter of your argument, and tell the reader exactly what they are going to learn come the end of the paper. The main body of your essay should be comprised of the important points of your argument. It is this large middle section that you need to lay out all of the relevant elements that will work to form a solid argument that you can settle in the essay’s conclusion. One of the most important structural factors to remember when you are going through the main body of your essay is that no matter how big or small a point you make, you are going to have to have secondary sources and evidence to back up what you are saying. A truly great essay will not just rely on the writer’s own understanding of the text, to get the really high grades. You need to show that you have done extensive research outside of the primary source and that your opinions have been informed by the opinions of other academics, whether contemporary or historical. Rather than just giving a blow-by-blow account of the novel that you are writing about, you need to come at the topic from an analytical viewpoint, not just explaining what happened by why it happened in the way that the author intended. Perhaps the most important element of your essay will be the conclusion. You can write really fluently and intelligently about a certain subject matter, but if your essay does not come to a defined point at the end, it will not be given the highest marks because the intention was to answer a specific question about a specific theme, not just give an extensive synopsis of the text. You want to touch back on the main points of your argument, give a brief rundown of everything that has been discussed, and then close it out by finally revealing what you believe all of the evidence you have compiled says in support of your argument. You don’t want the reader to be left in any doubt of how you are feeling. Sitting on the fence at the end is the worst thing that you can do because it makes the main body of your essay a complete waste of time for the reader.